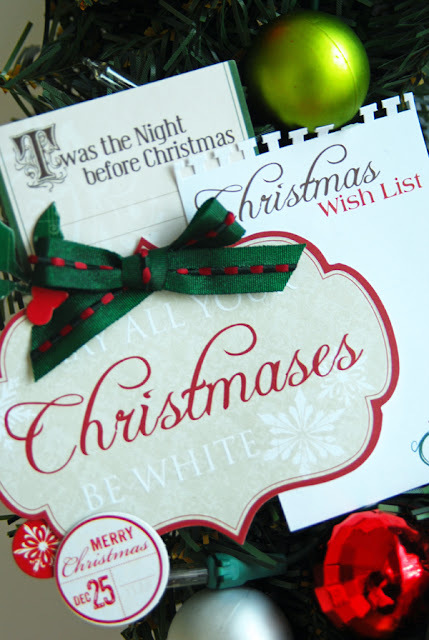 This wreath was so much fun to alter and embellish! Everything on here, with the exception of the ornaments, is from Little Yellow Bicycle's Once Upon a Christmas collection. I assembled the embellishment clusters, on my craft table, before attaching them to the wreath with a hot glue gun. Flowers from the Paper Crafting Kit came next and then the remaining spots were filled with tiny ball ornaments. This is definitely a piece I will look forward to hanging up year after year. 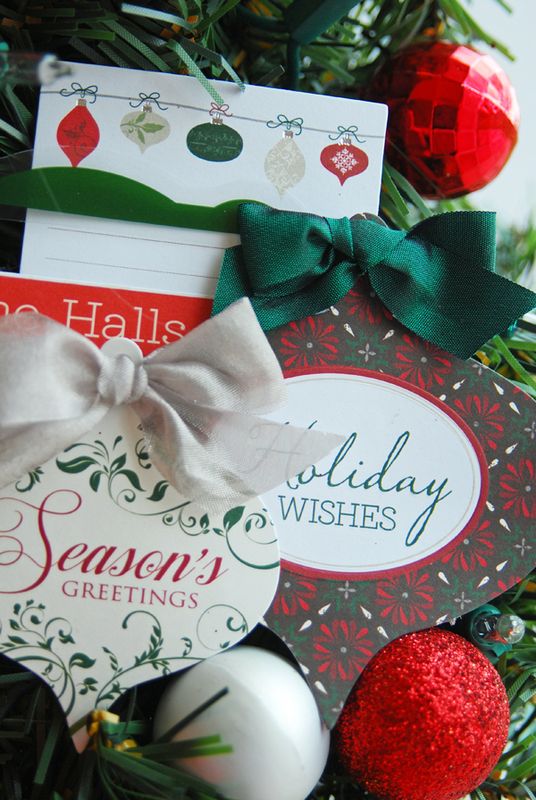 Let's take a more detailed look at the different sections on the wreath. Linking up to Tip Junkie. Wowwwwwwwwwwwwwww!! This is GORGEOUS!!!!! I am IN LOVE!!! I loveeeeeeeeee the flowers and love love love the ornaments!!!! OH boy! Well done. Brilliant adding the journaling cards to the wreath. Terrific project Lisa! Wow this is stunning... I love it. thanks so much for sharing. Amazing, Lisa! This is so inspiring. 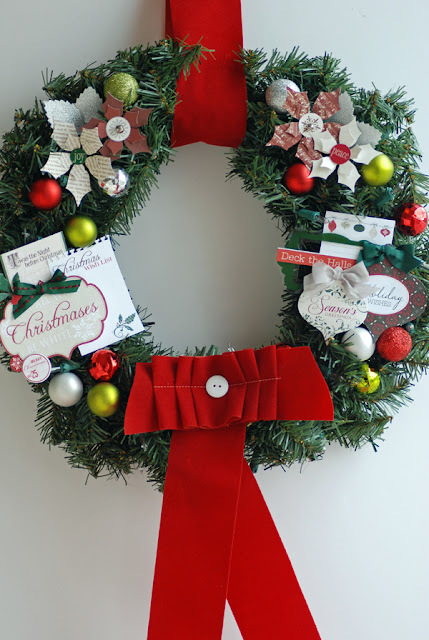 What a fun and beautiful wreath! Love all your details! 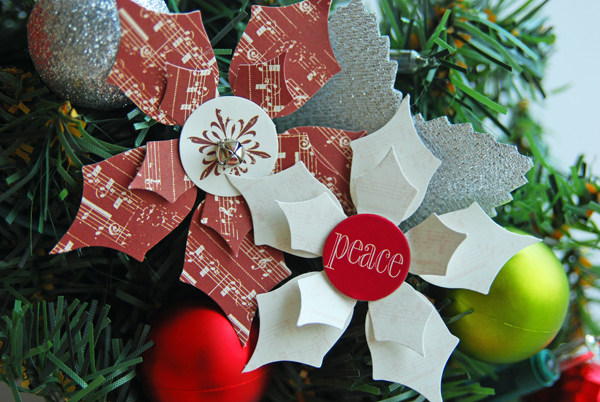 Who would have thought to add paper elements alongside ornaments like this? Well, obviously you did and it is stunning! I love it so much. How creative...Love it. 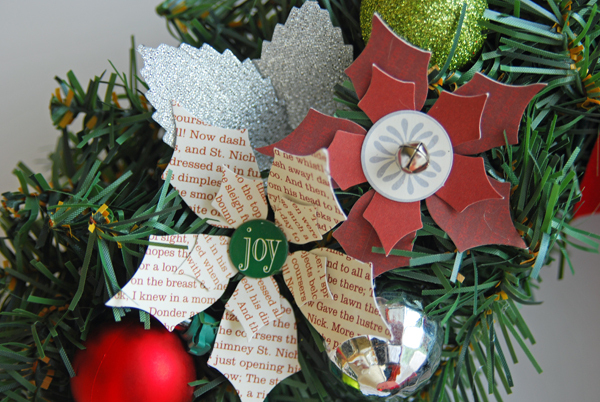 The embellishments you chose are effective and the jingle bell is so sweet! It is the perfect finishing touch! I'm sure I could do that here. This is ALL kinds of fabulous. LOVE! What a fun creation!!! Great idea. This is sooooo festive! Lovely work! Nice idea Lisa! So pretty! Your wreath is so pretty. I would be happy to hang this up as well. so so pretty. Such a beautiful wreath Lisa!